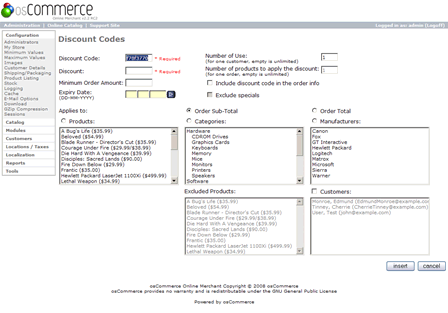 Download Discount Code 2.9 for osCommerce 2.2. 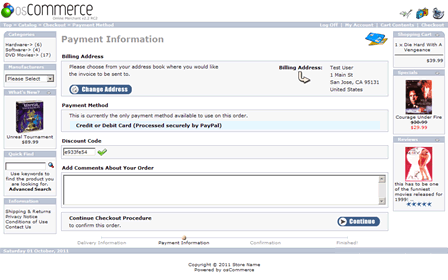 PayPal Support for Discount Code module. Download Discount Code update 2.9 for osCommerce 2.2. Download Discount Code update 2.8 for osCommerce 2.2. Download Discount Code update 2.7 for osCommerce 2.2. 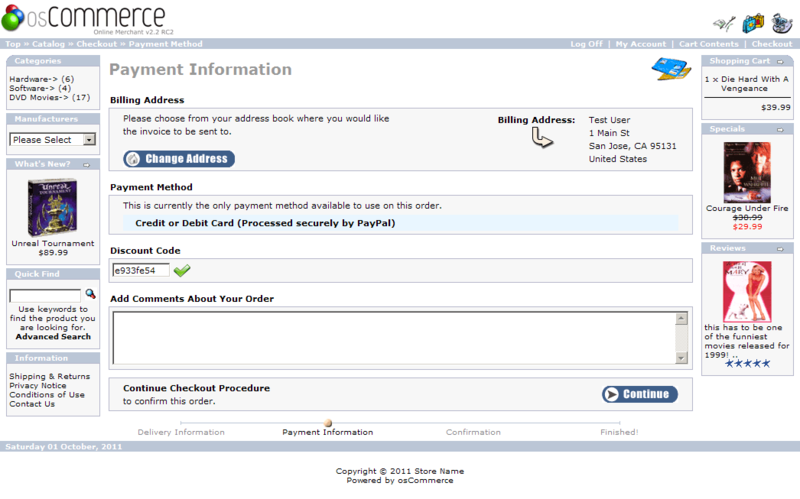 Download Discount Code update 2.6 for osCommerce 2.2. Download Discount Code update 2.5 for osCommerce 2.2. Download Discount Code update 2.4 for osCommerce 2.2. Download Discount Code update 2.3 for osCommerce 2.2. Discount code (coupon code, discount coupon code, discount voucher code, voucher code, promo code, promotion code, promotional code, gift code, e-voucher) module allows you to assign a discount code to a product, category (for each product of this category) and total order. You can specify a fixed discount rate or a percentage of the total order, set expiration date and minimum order amount for a discount code. Customer gets a discount by clicking a link or inserting the discount code while checkout. The link containing the discount code (http://www.yourshop.com/?discount_code=12345678) is especially convenient for newsletters sending out and promo campaigns conducting. 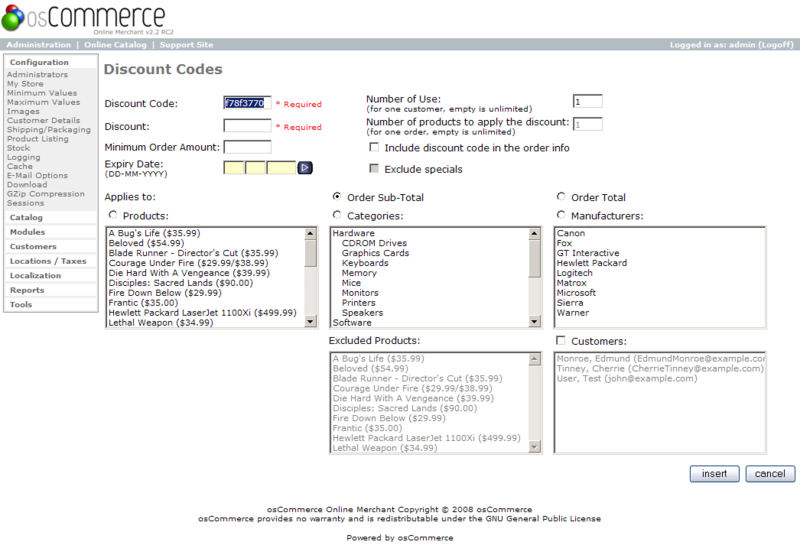 Download Discount Code for osCommerce 2.2.